With a stay at Sanno Marracoonda Perth Airport Hotel in Redcliffe, you'll be 5.2 mi (8.4 km) from Optus Stadium and 5.8 mi (9.3 km) from WACA. This hotel is 6 mi (9.6 km) from Hyde Park and 6.5 mi (10.5 km) from Perth Mint. Make yourself at home in one of the 144 air-conditioned rooms featuring refrigerators. Complimentary wireless Internet access is available to keep you connected. Private bathrooms have complimentary toiletries and hair dryers. Conveniences include coffee/tea makers and irons/ironing boards, and housekeeping is provided daily. Enjoy a meal at the restaurant, or stay in and take advantage of the hotel's room service (during limited hours). Wrap up your day with a drink at the bar/lounge. Buffet breakfasts are served on weekdays from 6 AM to 10:30 AM and on weekends from 7 AM to 10:30 AM for a fee. Featured amenities include complimentary newspapers in the lobby, a 24-hour front desk, and multilingual staff. A roundtrip airport shuttle is complimentary (available 24 hours). The hotel offers a restaurant. A bar/lounge is on site where guests can unwind with a drink. Wireless Internet access is complimentary. A roundtrip airport shuttle is complimentary to guests (available 24 hours). This Redcliffe hotel also offers an outdoor pool, multilingual staff, and concierge services. Onsite self parking is complimentary. 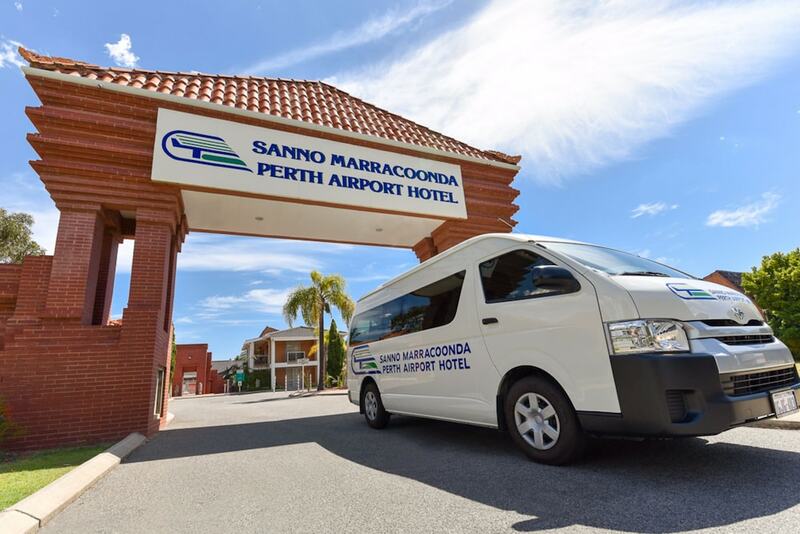 Sanno Marracoonda Perth Airport Hotel is a smoke-free property. Buffet breakfasts are available for a surcharge on weekdays between 6 AM and 10:30 AM and on weekends between 7 AM and 10:30 AM.